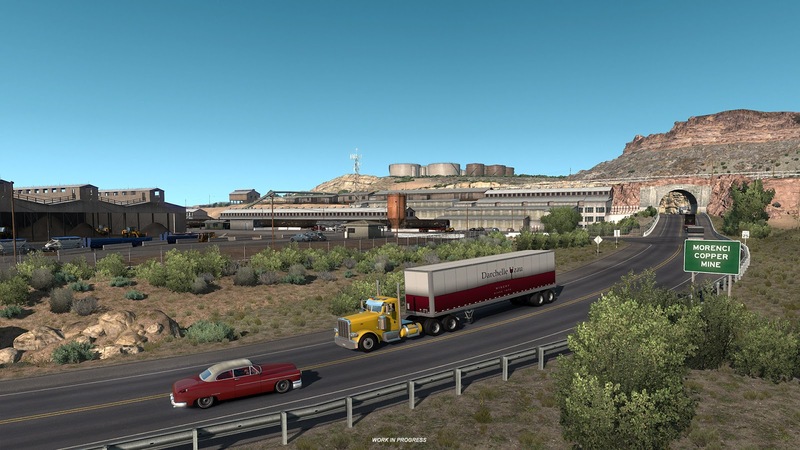 American Truck Simulator 1.32 Open Beta Released! 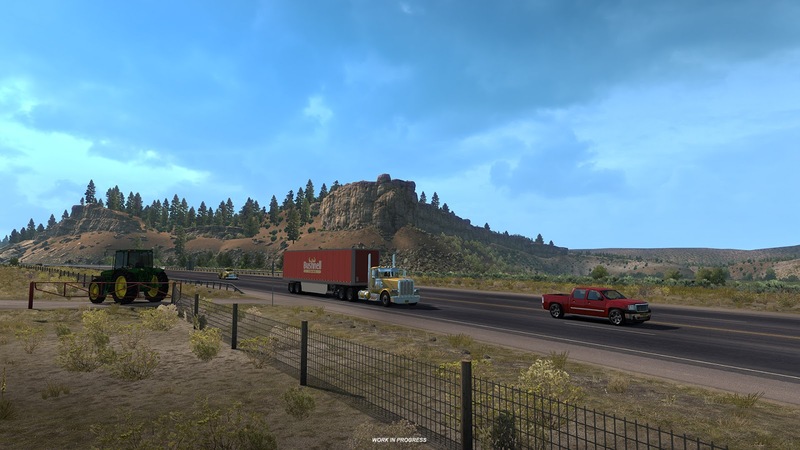 The open Beta of American Truck Simulator Update 1.32 is available now, bringing most of the additions ETS2 received a week ago plus some ATS specific bonuses. IMPORTANT: Due to the scope and scale of the major changes to the game, in order to receive as much feedback as possible, we're sharing this open beta with the community earlier than usual in the development cycle. There are still minor known issues that we're working on, and it’s possible there are even bigger bugs hidden away that we hope you’ll help us discover. If you think that the risk and possible frustration with an unstable and unpolished beta is worth it for you, make sure to backup your player profile to have a safe way to revert to 1.31 in case you get tired of testing.  Many mods may have become broken due to extensive data format and logic changes. An early open beta gives the mod authors a chance to start making the necessary changes right away, but for testing at this moment, you may need to disable most mods just to get things working. With the disclaimer out of the way, let's focus on different elements of this open beta. 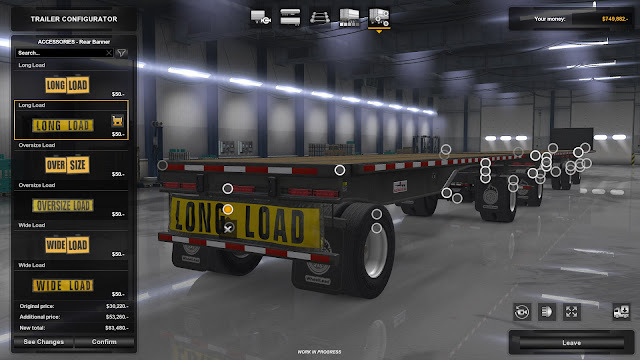 Those reading the blog on a regular basis already know that the major addition coming in 1.32 is trailer ownership. So all the ATS players can now buy, tune and paint their trailers too. And since the laws and rules are a little bit different in the USA than in Europe, we added the option to use Long/Wide vehicles and Oversize Load banners to the trailer tuning options. Just don't forget to lock the trailers up if you want to use them only for yourself, since your employees might decide to try them out too! With trailer ownership came the need to add "icons" to access the new functionality through the game's central "desktop" main menu, so we reorganized the user interface screen. You’ll probably notice that there are two larger widgets on the right side of the screen now, instead of three smaller ones. 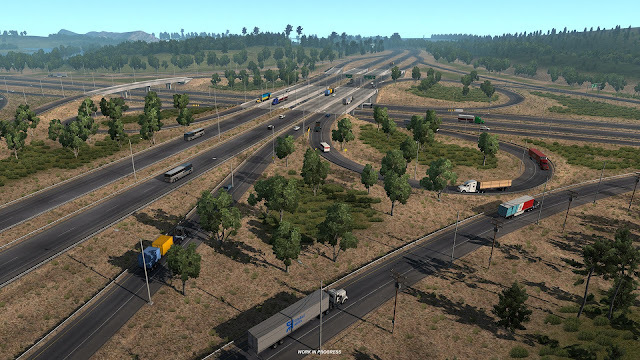 Also, new screens for trailer management have been added, and some company management screens had to be changed to handle the new feature. The next addition brings changes in the map. The ATS map design team felt that some gaps in the map deserved to be filled, while some other previous work should get a retouch. So in this update, ATS receives three new roads: US-550 – from Albuquerque to Bloomfield (Farmington), US-95 from Yuma to Quartzsite (Ehrenberg) and US-191 which connects I-10 and US-60. Also, the intersection of I-5 and I-80 has been razed to the ground and built completely from scratch. When driving on US-191, right by the newly added small city of Clifton, you'll discover Morenci Mine, the biggest copper mine in the United States. Surely a good place to visit, since there’s also a new cargo dock! 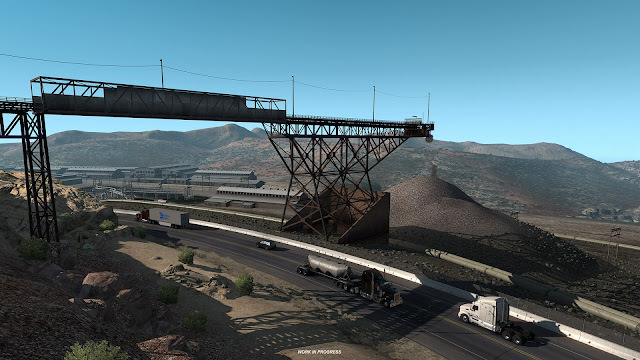 As for other changes, the new ATS update brings trailer cables on AI trucks and one new restriction – long trailers (53 feet – 40+ feet from kingpin to rear axle) are now forbidden in California. Plus one of the community's smaller wishes – parking brake is now disabled by default; those who liked this function need to turn it back on in game options. Several changes to the code and data were made, related to rendering optimization, and it appears to have brought very nice framerate improvements in some scenarios. But since experience may vary, do share yours with us, please. We're really interested in your feedback on any noticeable FPS changes. If you wish to participate in the open beta, you can find this version in the public_beta branch on Steam. 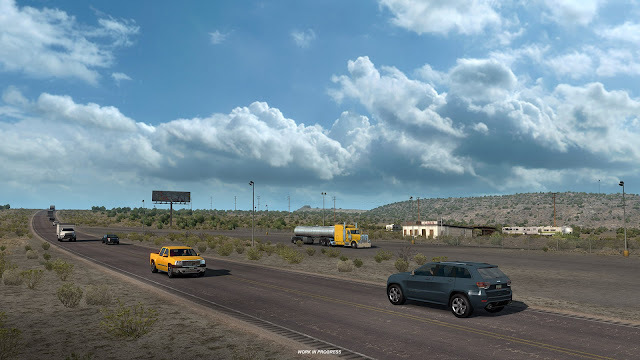 The method to access it is as follows: Steam client → LIBRARY → right click on American Truck Simulator → Properties → Betas tab → public_beta → 1.32 public beta. No password required.